Blue Rose Code is Edinburgh-born songwriter Ross Wilson. At the edge of contemporary alt-folk, Wilson’s music evokes a meeting of Van Morrison and a young John Martyn, both shipwrecked with a bunch of Motown records. A new EP double A-side single ‘Red Kites/I Will Lay You Down’, featuring three new songs and a stunning live performance of rarely played live, fan-favourite, ‘Where The Westlin’ Winds Do Carry Me’ from the TWOL launch 2017. ‘…AND LO! THE BIRD IS ON THE WING’ is the new album from the acclaimed Scottish songwriter, Blue Rose Code (Ross Wilson). Previewed to a sold out theatre at 2016’s Celtic Connections and released on 4th March, supported by a UK and European tour. Recorded at Gran’s House Studio in the Scottish Borders and written between the Shetland Isles and rural Dorset, ‘…AND LO! THE BIRD IS ON THE WING’ features the finest Scottish Jazz and Folk musicians, Nashville Gospel singers, The McCrary Sisters, British music legend Danny Thompson and Hollywood A-lister, none other than Ewan McGregor. Of the new record, Wilson says, “It’s an album for music fans and musicians, a challenging record. The absolute highlight of Celtic Connections so far! Blue Rose Code’s launch of the brand new CD ‘….And Lo! The Bird Is On The Wing’ to a packed audience last night at the Mitchell Theatre in Glasgow. Brilliant gig, with Ross Wilson at Celtic Connections. ‘…AND LO! THE BIRD IS ON THE WING’ features the finest Scottish Jazz and Folk musicians, Nashville Gospel singers, The McCrary Sisters, British music legend Danny Thompson and Hollywood A-lister, none other than Ewan McGregor. abundantly clear that the process has been undertaken away from the cynicism of any record company. Blue Rose Code performing ‘Fine Lines’ – a lovely tribute to John Martyn on the 7th anniversary of John Martyn’s death. Recorded at the launch gig for the Blue Rose Code CD ‘….And Lo! The Bird Is On The Wing’ at the Mitchell Theatre, Glasgow on 29th January 2016. Part of Celtic Connections. Blue Rose Code is the wonderfully talented singer-songwriter Ross Wilson, accompanied by Wrenne (vocals), Colin Steele (trumpet), Wild Lyle Watt (guitar), Nico Bruce (Bass) and Angus J Lyon (keyboard). If you’re in or around the Yorkshire area or even farther afield, I feel quite honoured to be asked to play at this very special event on the 27th of June. A certain Must to catch the incredible Blue Rose Code. There will be special guests and it’ll be a grand ol’ knees up, lots of JM songs performed. Fans, musicians, everyone is invited to come and play and share the big man’s music. Sessions, workshops, all that good stuff. Really can’t wait. Blue Rose Code’s latest album, The Ballads Of Peckham Rye, features a remarkable roll call of musicians from the folk side of the fence, including Karine Polwart, Lau’s Aidan O’Rourke and the lead single from Ballads features Mercury Music Prize Nominee, Kathryn Williams. Ross has also toured as the duo, Hardy & Wilson, with the BBC Radio 2 Folk Singer of the Year, Bella Hardy. 2014 has been some year for Blue Rose Code. Ross made his TV debut on the BBC. Lead single, One Day At A Time, was playlisted on BBC Radio Scotland and Ross has done sessions for BBC Radio 2 , for Another Country with Ricky Ross and for Bruce MacGregor’s Travelling Folk. But, to top it all, Blue Rose Code takes legend, long-time fan and musical collaborator, Danny Thompson out on tour this Autumn with a number of the shows already sold out. It’s the respect and support shown for the music of Blue Rose Code‘s by a pantheon of award winning musicians that illustrates the high-regard in which Ross is held or, as Bob Harris puts it “Blue Rose Code is a very important emerging singer/songwriter”. Ross describes his music as “audibly Scottish, Caledonian Soul” a term borrowed from the music of Van Morrison. Nevertheless, the estimable Bob Harris was so struck by Ross’s acutely personal, bruised and soul-bared songs he flew to Nashville for the BBC Introducing showcase at the 2013 Americana Music Association conference. “I guess that I’m a crossover artist,” says Ross. “I’m just not sure from where I’m crossing over or where I’m going to end up.” It’s that reluctance to be boxed or pigeon-holed that has earned Blue Rose Code a burgeoning and fiercely loyal fan-base across the UK and beyond, with folks travelling from far and wide to see his three-night sell out show at this years Edinburgh Fringe. At the start of his career, Ross sent demos to folk clubs in the hope of a gig. One promoter posted his CD back with a post-it note, scrawled in red that simply said: “Your music is not folk.” You can’t argue with that. Or can you? Taken from the “Ballads of Peckham Rye” Album, They used to talk about, “The difficult second album,” a scenario where the promise or hype surrounding an acts debut was not matched by the follow up. It undoubtedly holds a certain truth, with some artists perhaps feeling the time pressure of writing a follow up, the vagaries of record company politics, budgets and so forth or even the fickle hand of fashion creating an artistic void. 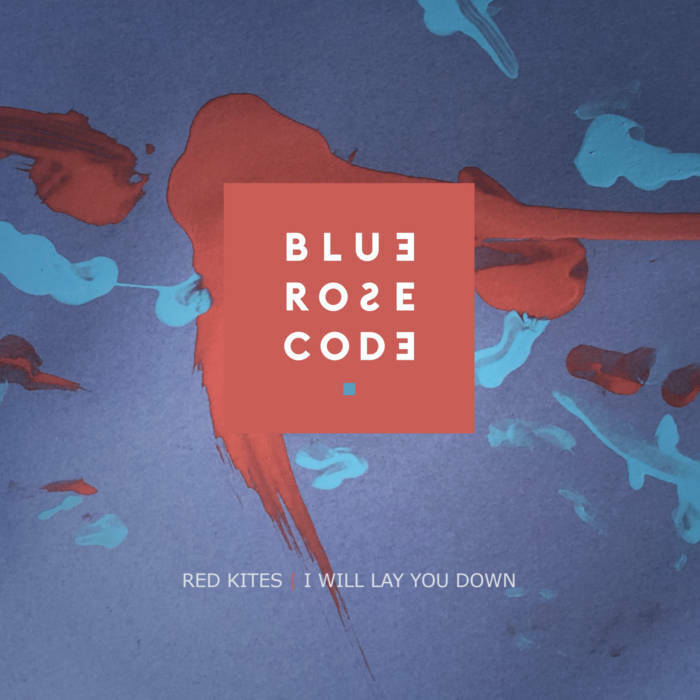 Thankfully The Ballads Of Peckham Rye turns such conventions on their heads, as it takes everything that was good about the debut release from Blue Rose Code and does it better. Blue Rose Code’s prophecy of Celtic lullabies and Caledonian soul really come to life on this incredible version of one of his earlier songs, the Edinburgh singer songwriter Ross Wilson has steadily been making some fine music for awhile now, please listen to the recent album “The Ballad Of Peckham Rise” and the earlier album ” North Ten” you’ll find nothing better. Blue Rose Code and a live track taken from the new album “The Ballad Of Peckham Rye” inspired by the John Martyn album “Inside Out” pleaae check out the two albums released to date from the fine Singer Songwriter.